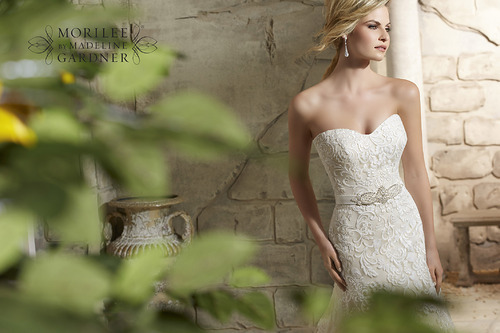 This classic bridal gown with a subtle sweetheart neckline is designed to flatter virtually all silhouettes. Accented by exquisite embroidery. Available in Light Gold, UK 14 only.